The demand for hydroprocessing catalysts has shown an increasing trend, because of their applications in refining of petroleum and biofuels, in order to comply with strict environmental regulations controlling emissions from transportation vehicles. Transport fuel is dominated by fossil fuels with carbon emission intensive production methods. If we are to move away from these sources, the alternative is to produce liquid fuels from agricultural stocks — crops, crop waste, forestry waste or algae. Converting these feedstocks into high quality fuels is a considerable challenge. By describing the current status in processing agricultural feedstock into high quality liquid transport fuels, the authors set out the means to develop better chemistry and catalysis for the necessary conversion processes. This book offers an intriguing insight into the mechanisms and protocols involved in new hydroprocessing catalysts and processes, and covers the methods for upgrading these liquids to modern transport vehicles suitable for operation in modern gasoline and diesel engines. 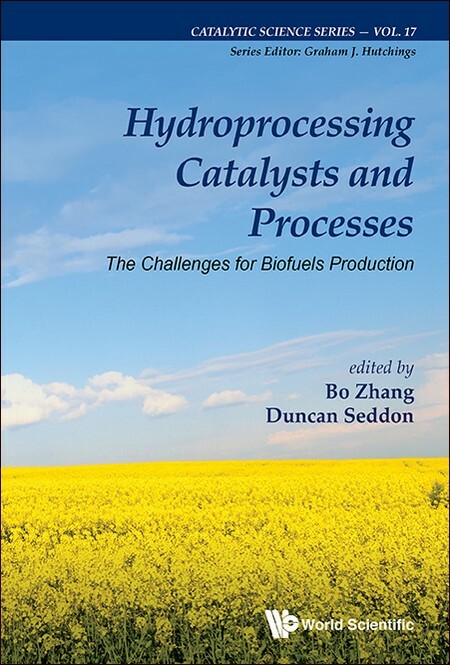 It provides an introduction to the mechanism of hydroprocessing reactions, application of different metals in hydroprocessing, the effect of catalyst supports, applications in refining new feedstock, renewable fuels standards, the management of spent hydroprocessing catalysts, and hydrogen production. Hydroprocessing Catalysts and Processes will prove useful for both researchers in academe and industry concerned with future fuels development and treatment to produce current and future liquid transport fuels. Readership: Graduate students in catalysis, refinery feedstock operations and planners, fuel technologists.